The Banks House, which served as Lt. Gen. Ulysses S. Grant’s headquarters following the Breakthrough on April 2, 1865, is one of the Park’s historical treasures and an outstan ding story of preservation as well. This Federal-style building was built in two stages, the first being a one-and-a-half story structure completed between 1740 and 1760. A larger, two-story wing, the principal part of the dwelling, was added about 1790. Pamplin Historical Park acquired the Banks House parcel as a gift from Roslyn Farms Corporation. TXI Corporation, parent company of nearby Chapparal Steel, donated $75,000 to assist in the $600,000 restoration project. 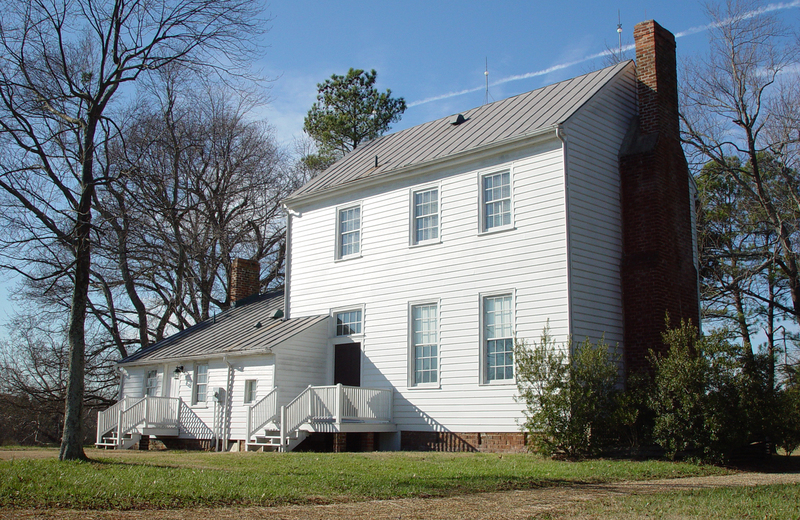 Lt. Gen Ulysses S. Grant chose the Banks House as his command post because it provided him a vantage point from which he could observe and direct assaults against the western sector of Gen. Robert E. Lee’s inner defensive lines. slave kitchenOne of the few remaining original slave dwellings in Virginia is located behind the Banks House. The four-room building includes two rooms on the bottom floor that were used as the plantation kitchen and laundry. The upper floor contains two rooms that were the living quarters of the house servants. This structure has been restored to its wartime appearance. A visit to the Banks House is included with regular Park Admission. Visitors should obtain a code at the Admissions Desk in the National Museum of the Civil War Soldier which may be used to open the Banks House access gate. Exterior exhibits explain the history of both the main house and kitchen.